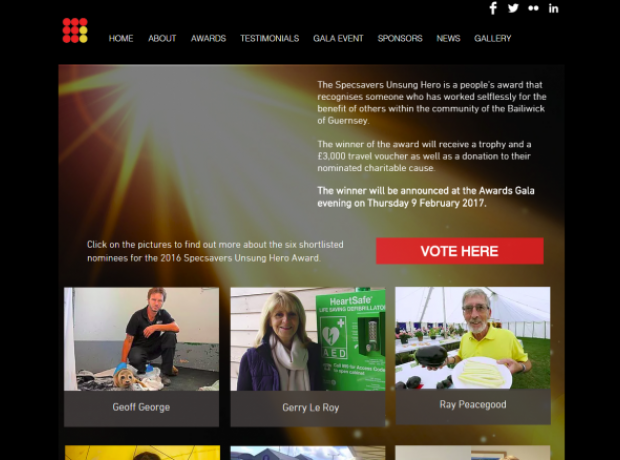 The Specsavers Unsung Hero is a people’s award that recognises someone who has worked selflessly for the benefit of others within the community of the Bailiwick of Guernsey. The winner of the award will receive a trophy and a £3,000 travel voucher as well as a donation to their nominated charitable cause. The winner will be announced at the Awards Gala evening on Thursday 9 February 2017.